Traditionally, the best time to list a property for sale is during the spring, when everyone is thinking about a fresh start. The reality, though, is that there is no bad time to sell. You can’t predict something like supply and demand, so its best not to gamble by trying to time the market. 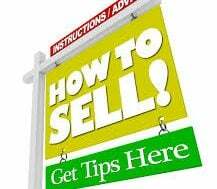 The best time to sell your house is whenever you feel it is ready to present to the public. This is a very common question and a good agent shouldn’t have any trouble answering it for you. Your agent should be able to explain general market conditions as well as how they relate to your local area. Remember, general statistics that you hear on the news may not be reflected in small market areas. Those of us who live in Grey County are not really effected by the real estate market in Vancouver. Even the influence of the Toronto market can very from season to season. Local numbers are the ones that matter and those are the ones your agent should be able to provide. Things like average number of days on the market, number of closed transactions for a given month year-over-year, average sale prices and list price to sale price ratios. Whether a buyer sees your home online, in a newspaper ad, or first hand, first impressions are key. Once your property is listed, it has to be ready for viewings so you need to be able to present it in the best possible light. You might consider things like refreshing the paint, replacing old or worn carpeting, reducing clutter and making sure visitors don’t pick up on any unpleasant odours. 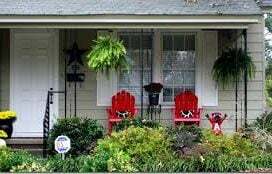 Finish any odd jobs that are in progress and ensure that you make the most of your curb appeal. Like it or not, appearance counts and it can mean the difference between hooking a potential buyer and losing them before they’ve even walked in the door. 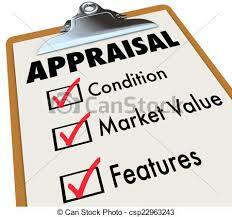 Assessed value, appraised value and market value are not the same thing. And even though you may have a magic number in your head that you’d love to receive when you sell your house, that does not mean that is the true value of your property. Emotional attachment does not equal sale price. Sale price is the price your home will actually sell at. A good agent should be able to suggest a list price that gets you fairly close to your actual sale price and they will arrive at that list price by completing a comprehensive comparative market analysis. 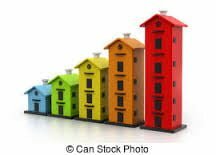 A CMA is an in-depth look at properties that compare to yours which have sold in your general geographic area during the previous 6-12 months. 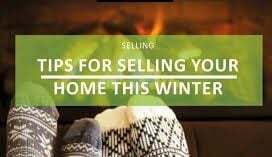 It will take into account features particular to your home, the local neighbourhood and the local market and will help you nail down an accurate list price. Remember to try to keep emotion out of the equation as much as possible. The old saying is true…you really do get what you pay for. You want me to do my very best work for you, don’t you? If you were working for a reduced wage, would you work to your very best potential? Likely not. Choosing a agent based solely on the fact that they offer the lowest commission amount is a mistake that results in less personal service, less communication and lower customer satisfaction. Remember, if I don’t sell your property, I won’t get paid. If I do sell your property, it will be because I have worked hard to market it, advertise it and find you qualified and serious buyers. I am confident that you will be very satisfied with the service I provide and will feel I have earned that commission. Any agent you choose should be able to provide you with a comprehensive marketing plan that outlines which services will be provided in order to get your property the most exposure possible. The days of hammering a sign into the front lawn and waiting for buyers to phone are long gone. The internet has had a massive impact and influence on real estate and should be the cornerstone of your agent’s marketing plan. A good agent will showcase your property on a quality website and maintain active social media accounts, a customer/listings database and maybe even a blog in order to keep in touch with both past and future clients, on top of the standard issue newspaper or magazine ads and mailers. Marketing is key to your successful sale. When the time comes to sell your property, it is in your best interest to make sure you have chosen the right person to represent you. You should feel confident in that agent’s ability to market, advertise and ultimately sell your home. You should feel comfortable asking your agent questions and every single one of your questions should be sufficiently answered. In most cases, this is the most important financial transaction of your life and you deserve to feel well prepared and knowledgeable. I will make sure that you do.